I shared pictures of my latest craft on Instagram and Twitter and people are asking me how to make them, so figured I'd share. 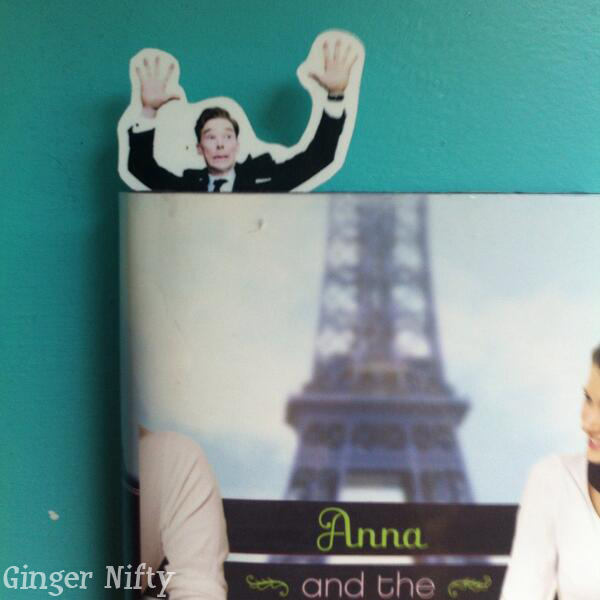 I can take no credit for the brilliant idea to have Benedict adorably photobombing your favorite book. 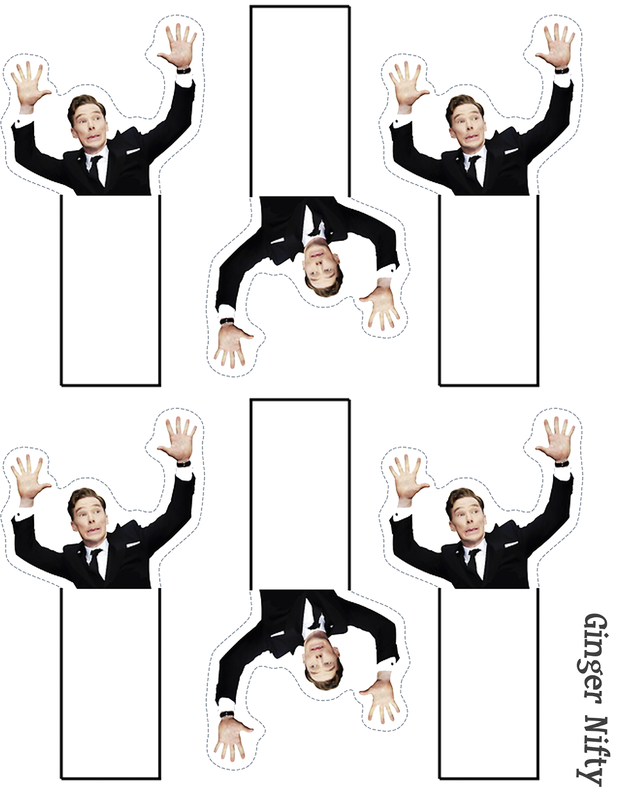 Obviously, he's the one who decided to be adorable at the Oscars, and I saw the bookmark idea a few days later on a Sherlock fan page. I printed one but it got destroyed a few days later. I decided to make a more durable version by printing on cardstock and laminating it (for some reason my family has a laminator around.) If you're not laminating, you could use contact paper , Mod Podge or glue to help it hold up better. The highest quality image I found was here, but I wanted to keep the bottom straight so it fit better in a book. 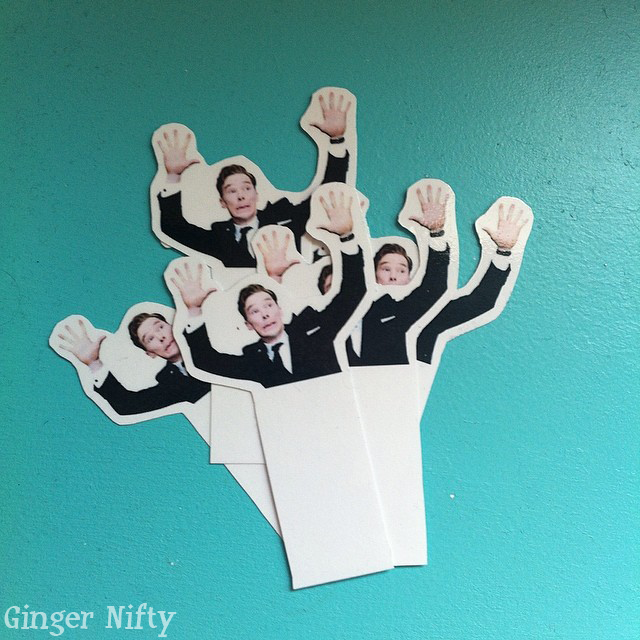 I laid it out so I could print six on a page. Get the full size file here.